This stunning home has almost $50,000 in UPGRADES! Located on a CUL-DE-SAC, the exterior features stucco and stone, where you are then greeted by a beautiful wooden front door. Upon entry, the CERAMIC TILE takes you into the spacious, modern kitchen, which boasts QUARTZ countertops on the custom cabinetry. A custom wine rack and GAS STOVE accompany STAINLESS appliances. NEST System Throughout. You will instantly notice the 18 foot, FLOOR TO CEILING STONE, DOUBLE MANTEL FIREPLACE, which has access to the beautifully landscaped back yard with extensive DECK, HOT TUB and FIRE PIT via oversized patio doors. Upstairs, the BONUS ROOM featured VAULTED CEILINGS. The Master En-Suite has 2 built-in CEILING SPEAKERS, which are also found throughout kitchen & back deck, in addition to a large SOAKER TUB & GLASS SHOWER. $10,000 CUSTOM BLINDS & DRAPES throughout. 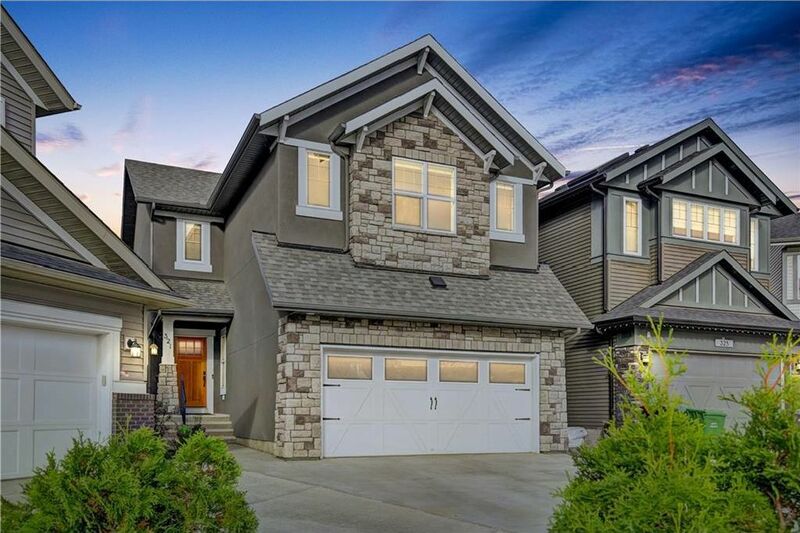 This beautiful home is located in the Valley walking distance to the Blue Devil GOLF COURSE, BOW RIVER & FISH CREEK Park.